An evolving world and medical field beckon our creativity. As people become more engrossed in their jobs in order to fulfill increasing demands and free time seems to disappear like quick sand, we’ve been forced to forge new paths. You may be familiar with the term “telemedicine,” which isn’t a new concept, but it has only come to radical fruition in recent years. It was actually first used in 1967, but with technological advances, it’s becoming not just a trend, but a necessity and a truly realistic option for many people. For those living in rural areas or places with little to no medical care, it’s a lifeline. Telemedicine has the incomparable ability to connect individuals to a physician from thousands of miles away. The transition to "Ask Doctor Internet" your questions over a screen as opposed to face-to-face can be an adjustment, but in the end, you’ll come to realize its incredible value. Once you log-in through a secure account on our private server, you’ll be able to have a consultation with a physician or medical provider of your choosing. The beauty of communicating with a doctor over a screen is that they have a wealth of knowledge at their fingertips. If you provide symptoms that could indicate a multitude of ailments, the physician has quick access to resources that may give an answer. An Online Doctor Visit membership means that you will always consult with a medical professional who is licensed in the state you live in or where you are currently vacationing. It’s probably a given, but there are certain symptoms that warrant an in-person consultation. You can always talk to a doctor via our telemedicine platform, and then if they recommend seeing you in person, you can set up an appointment. Typically, more serious symptoms or ones that need to be looked at in more detail will require an office visit. One of the greatest things about telemedicine is that it generates faster referrals to specialists that a patient may need to see urgently. 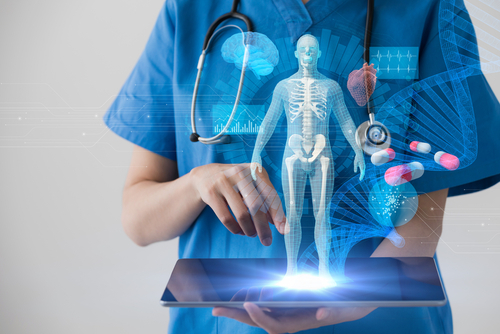 There are an abundance of diseases, sicknesses, illnesses, injuries and other maladies for which telemedicine is entirely appropriate all on its own. Some of the most common issues that our doctors see are bites and stings, bronchitis, allergies, the flu, pink eye, insomnia, and sprains and strains. Since a majority of these are easily treatable, they can often be taken care of by using telemedicine alone. All of our doctors and staff are wonderful people and want only the best for all of their patients. One of the reservations that some patients have voiced is that telemedicine may make it slightly more difficult to connect on that deeper level, but our doctors have experience working with patients via the computer or phone. In today's tech-centric society, our medical staff has become proficient at creating a rapport with their patients through video chats, phone calls, and emails. In fact, many of our patients feel that telemedicine actually allows for a more open line of communication between a doctor and patient. You can connect with your online doctor more frequently to ask questions or chat about an issue, which leads to a stronger doctor-patient relationship. The beauty of an online doctor visit is that it can happen at any time of the day. If you or your child is sick through the night and can’t wait until the morning to call the doctor’s office and maybe get an appointment, you can hop online and talk to a physician immediately. Online Doctor Visit has physicians 24/7 available to talk with you and meet your needs. Whether you’re looking for suggestions and advice or an actual diagnosis because of symptoms you’ve been having, Online Doctor Visit is always willing to work with you and your family to formulate a plan of action toward healing and feeling better.